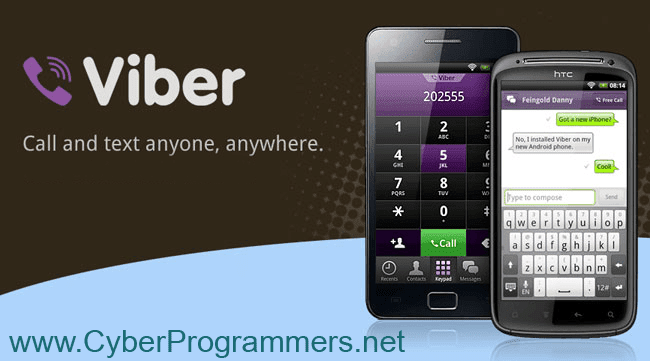 Viber is one of the most popular apps nowadays. Viber allows us to call, chat, send pictures and videos to our friends. It's totally free, one thing we need is an internet connection. We can make calls from one country to another and without spending mobile credits. So you can get Viber for your phone device totally free. You can download Viber for your Android device directly from Play Store and it's totally free. Yeah, for now, it's possible to install Viber on your old phone which uses java. So Viber now available for Java phone users. You can download and use Viber on your iDevices, on iPhone, iPad, iPod which runs iOS 6.0 or later. Viber is also available for Windows Phone 7,8. You can use Viber and in Windows phones. That's really amazing that Viber is available for BlackBerry users too. We can chat and make calls through Viber in our BlackBerry device too. If you are using the latest versions of Nokia mobiles then you too can install Viber on your device from Ovi store. Viber available for Samsung users too, which are running Bada OS. You can use Viber on your Samsung device and you can download it from Samsung store.